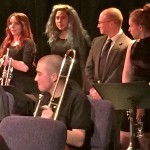 DSA Band Alumni meet the band and Mr. Hammond for a night on the town. 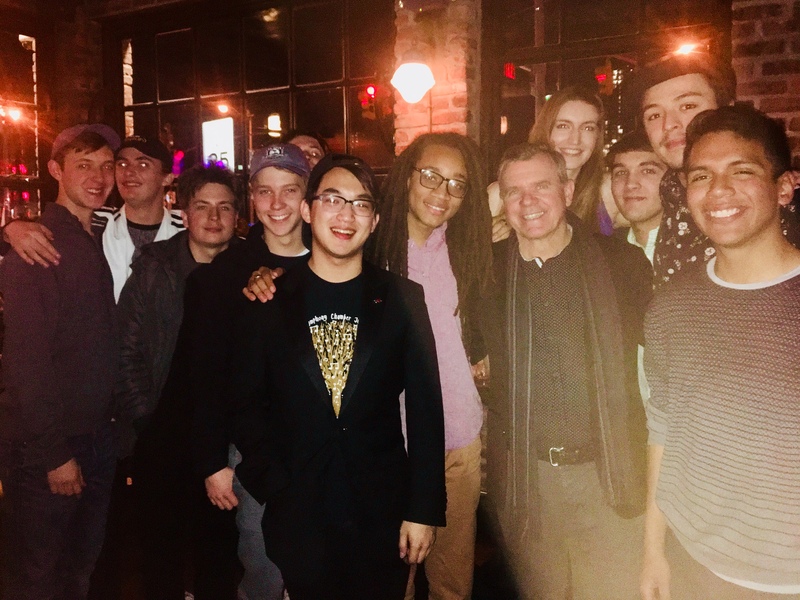 Alums John Bickle (4th from left), Scott Chiu (5th from left), Max Moore (6th from left), Ally Chapel (8th from left), Rico Jones (10th from left) and Cianci Melo (far right). 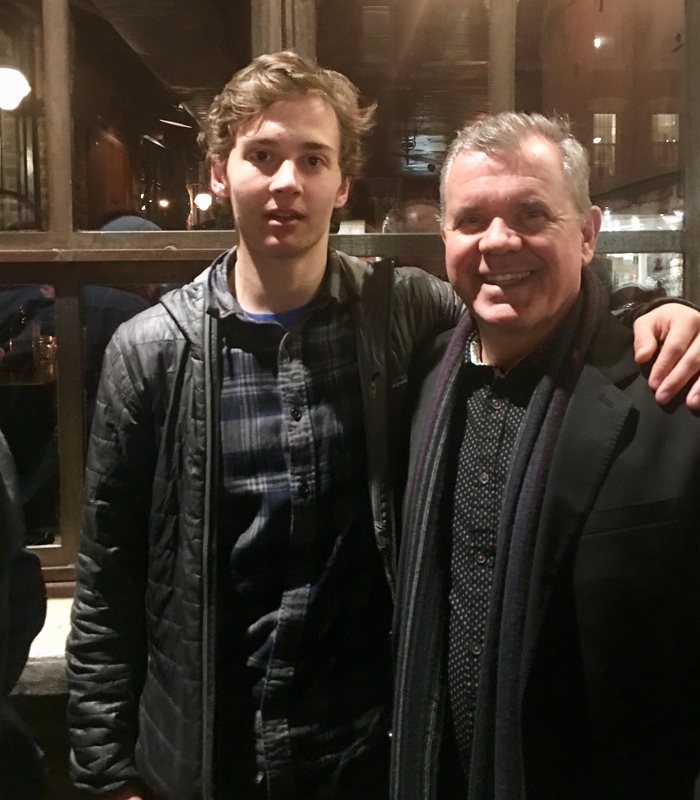 Mr. Hammond with alumni Liam Broderick at the Alumni party. 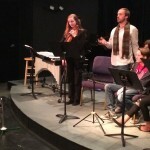 Impulse plays the festival to rave reviews! 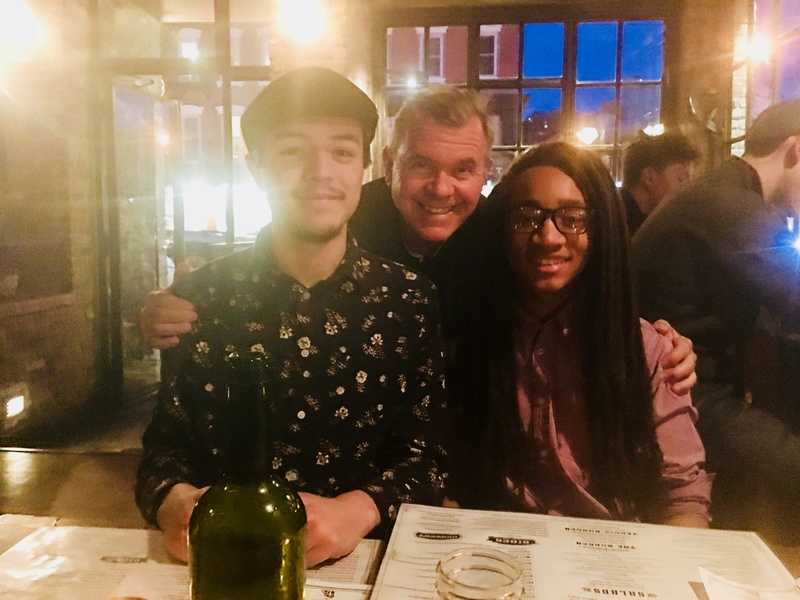 Rico Jones (left) and Max Moore (right) at the Bands alumni party in New York. 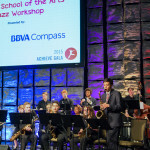 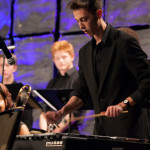 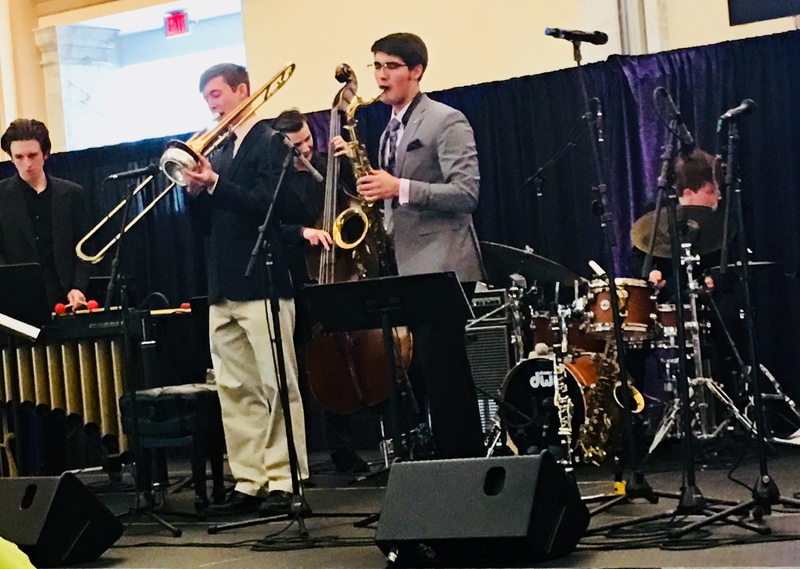 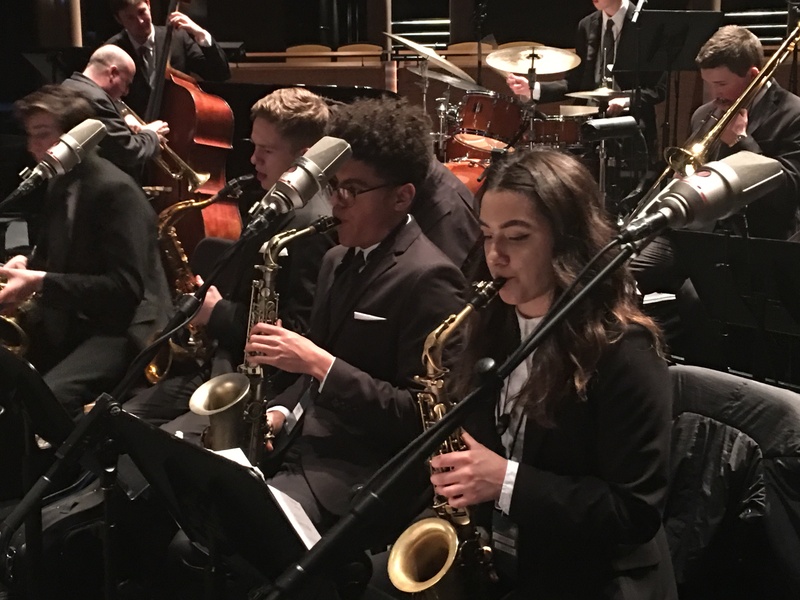 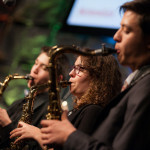 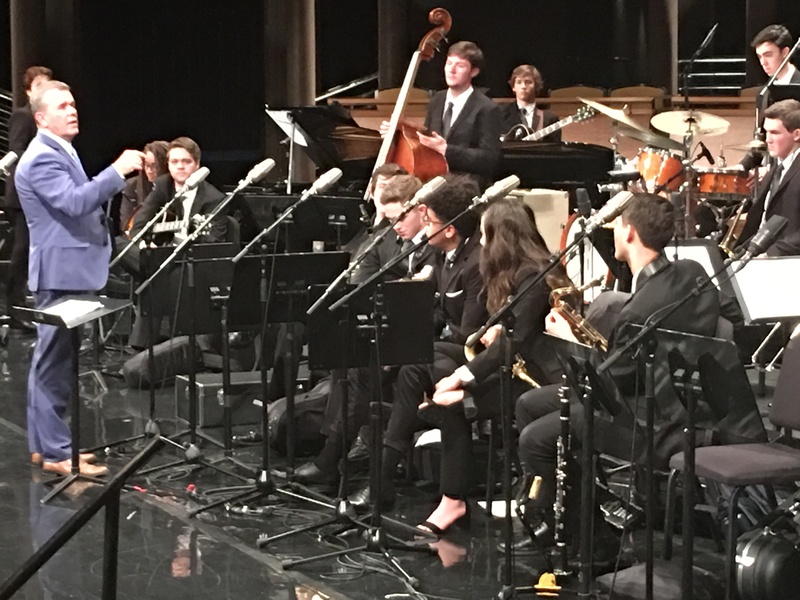 See “Leave Them Wanting More” – a video about the Jazz Workshop Orchestra’s preparation for and the trip to New York for the Essentially Ellington High School Jazz Festival and Competition in May of 2017. 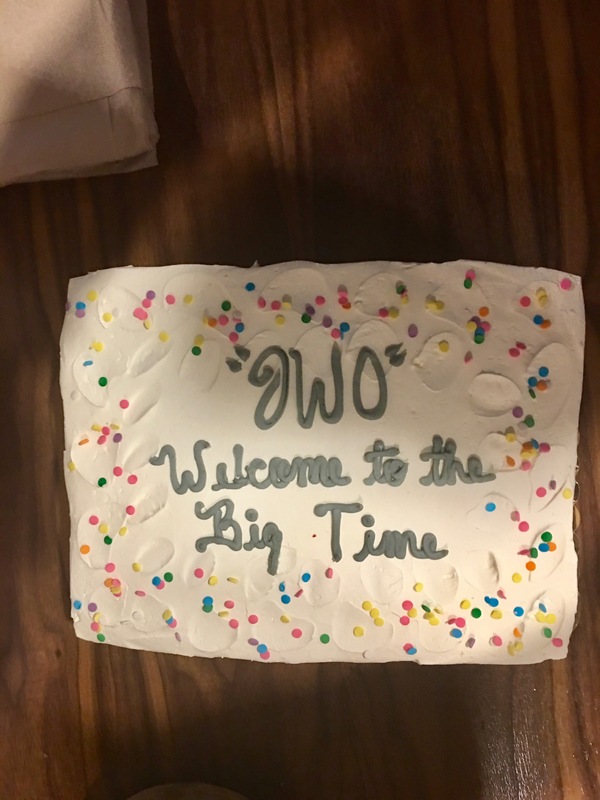 The Jazz Workshop celebratory cake! 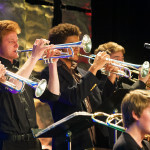 The band rehearsing for the finale concert at the Essentially Ellington Festival, Frederick P. Rose Hall, New York. 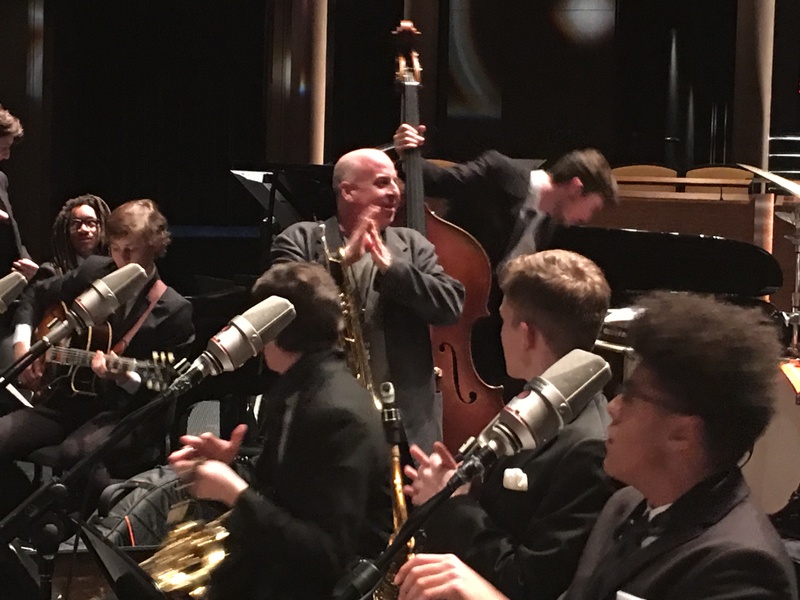 Lincoln Center Jazz Orchestra guest artist Greg Gisbert rehearses with and applauds the band before the finale concert. 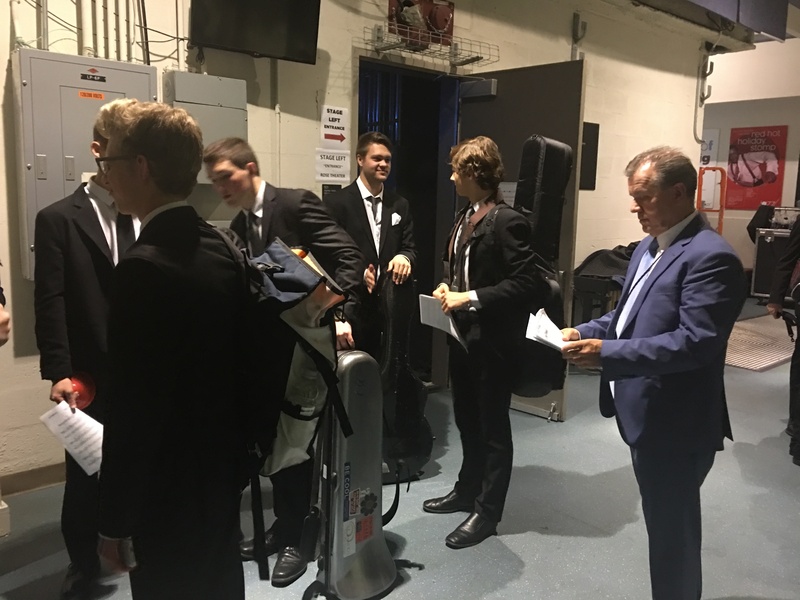 Back Stage at the Jazz at Lincoln Center Rose Hall before the finale concert. 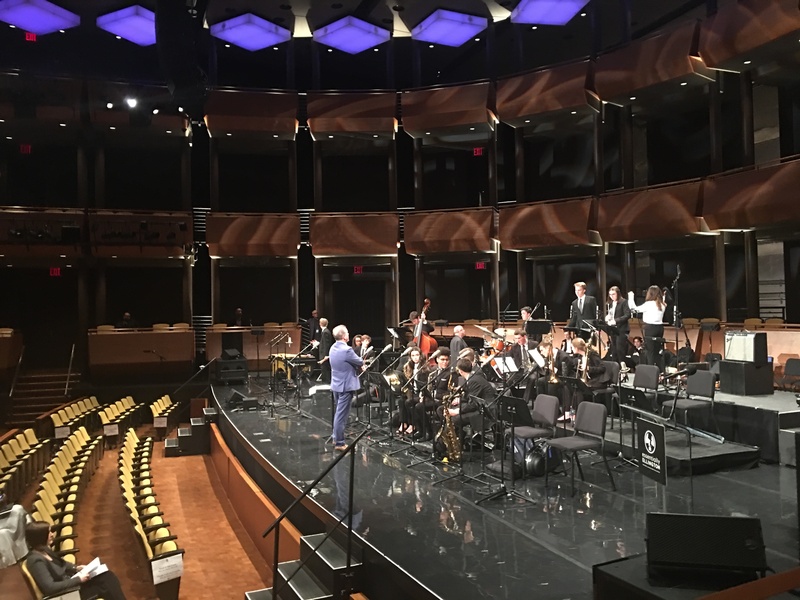 On stage in New York! 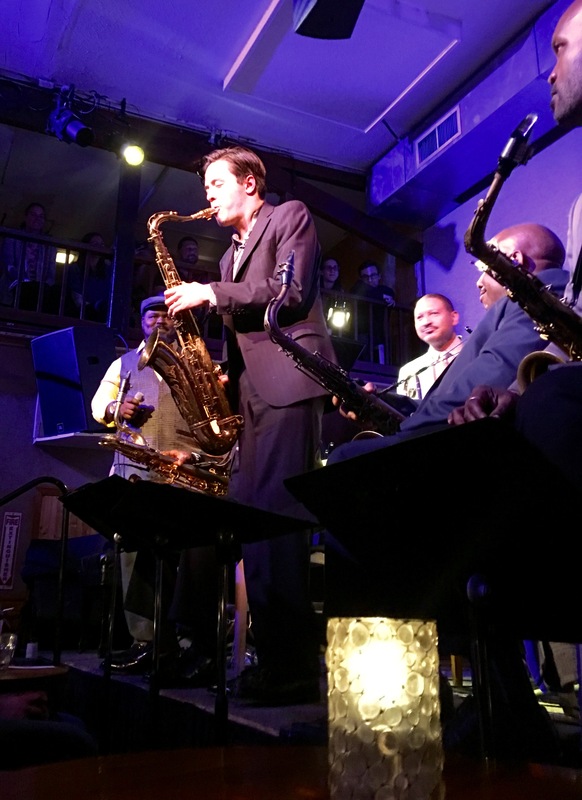 DSA saxophonist Rico Jones sits in at Snug Harbor under the watchful eye of band leader Delfeayo Marsalis. 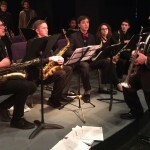 DSA students: Julian Archer, Erik Ondrejko and Gabe Rupe sat in to rave applause. 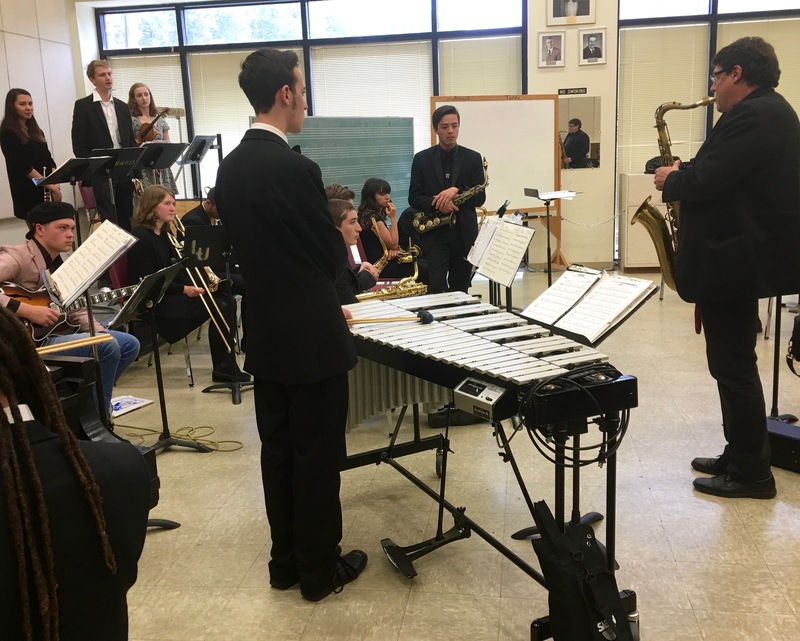 Jazz Clinic at Loyola College with Gordon Lowell, Jazz Studies Director. 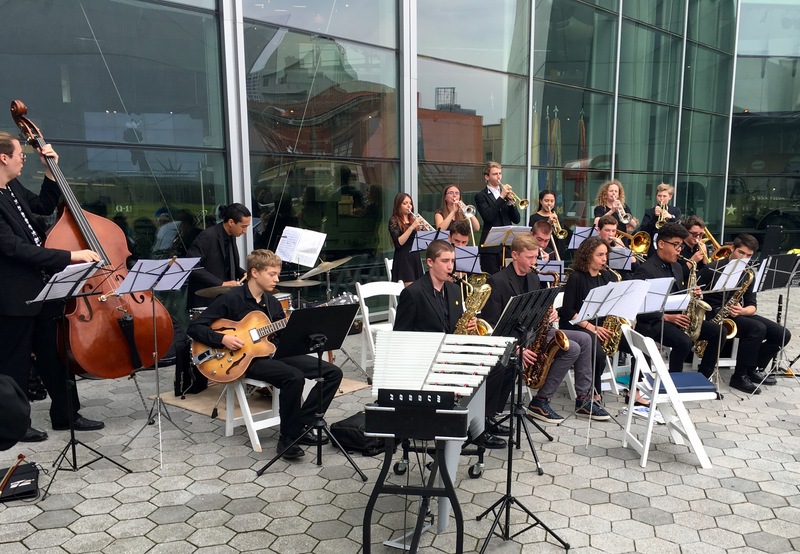 DSA JWO II plays the WWII Museum. 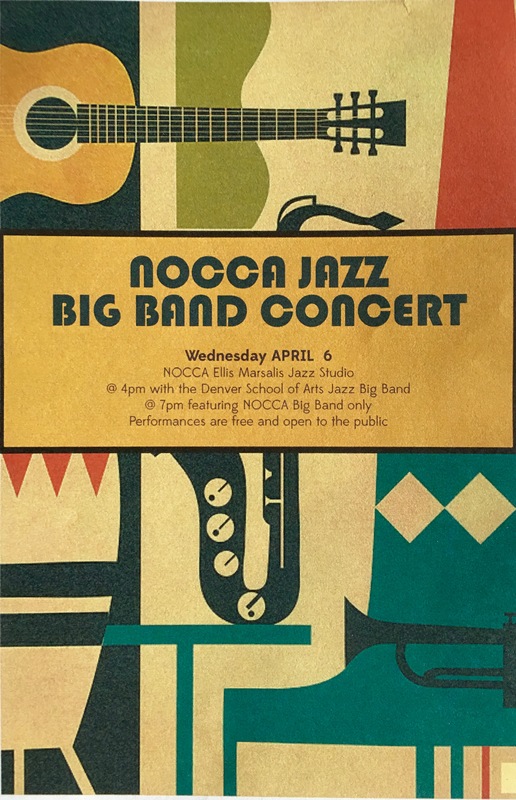 The poster for the gig at NOCCA.